This fault first happened at 75mph while overtaking. Selected neutral, switched engine OFF / ON now engine started again. All OK at 60 mph but dangerous to risk any faster especially in the outside lane. Had to fix this quick so purchased a code reader from amazon but no code was stored. Only way to get a fault code was to drive hard to get car to cut out then pull over and stop WITH IGNITION STILL ON and then connect code reader. Fault code was PO 251 Injection pump fuel metering Control A malfunction. I suspected fuel starvation so replaced fuel filter. The contents of the old filter was emptied into a jam jar and checked for metal particals which is a sign of faulty injection pump but all OK no metal in the filter. Also blew air into fuel pipe to the tank, bubbles came up in the tank so no blockage there. Next day had 600 mile round trip job , so purchased BG244 injection cleaner and full tank of Shell V Power. Found car ok on cruise control set to 70 mph but still cut out when trying to hold 70 mph up a hill. Car cut out at least 10 times that day. This still seems to be low fuel pressure. The injector nozzles should be clean by now so can't be that. On internet found injectors have spray nozzles plus a pressure relief valve which opens to let excessive fuel back to the tank. A common problem is this valve leaks and fuel pressure is reduced in the fuel rail. That seems to be my problem. NOTE : It only needs one injector to leak to cause low fuel pressure but always best to get all four injectors fitted with new leak back valves together. Got a quote from a diesel specialist garage at £1300 + VAT = £1560. This included diagnostic test plus injector leak back test and 4 reconditioned injectors plus coding the injectors. Decided not to bother with the garage I will take the injectors out myself and get them repaired. Removing the injectors on a 2004 Mondeo is the easiest job I have ever done on this car. I followed the Haynes manual. See quick guide below. 2) Wait about 2 minutes for fuel pressure to drop in the rail. Mark the position of the 4 high pressure pipes to the injectors and remove these 4 pipes. 3) Remove the front camshaft cover screws and lift the two triangle metal plates so that you can now unplug the 4 injector electric leads and remove the 4 leakback clips. 5) Unplug the electric plug at the right hand side of the camshaft cover using a bent screwdriver to lift the clip inside plug ( photo 2 ). 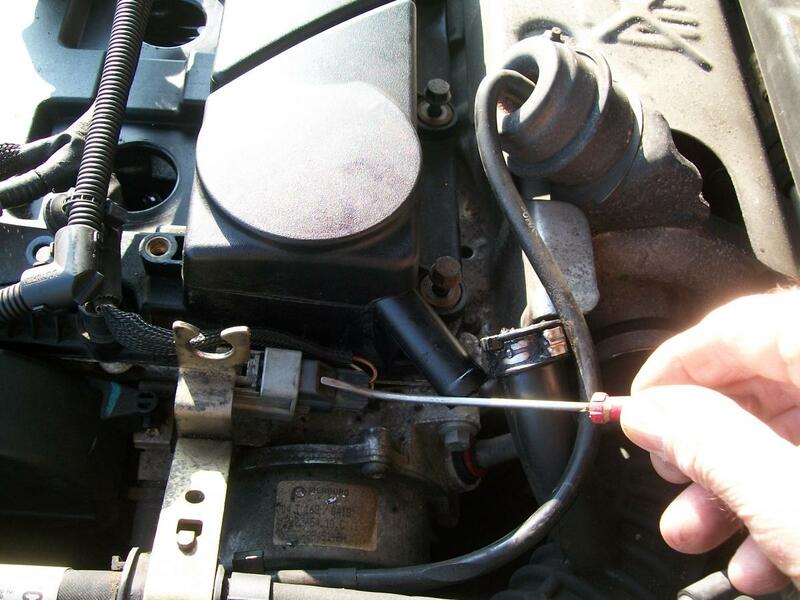 Also disconnect the crankcase vent pipe ( lever this off with screwdriver ). Unclip the wiring loom and position to the left side with the triangle plates still attached to the wiring loom. 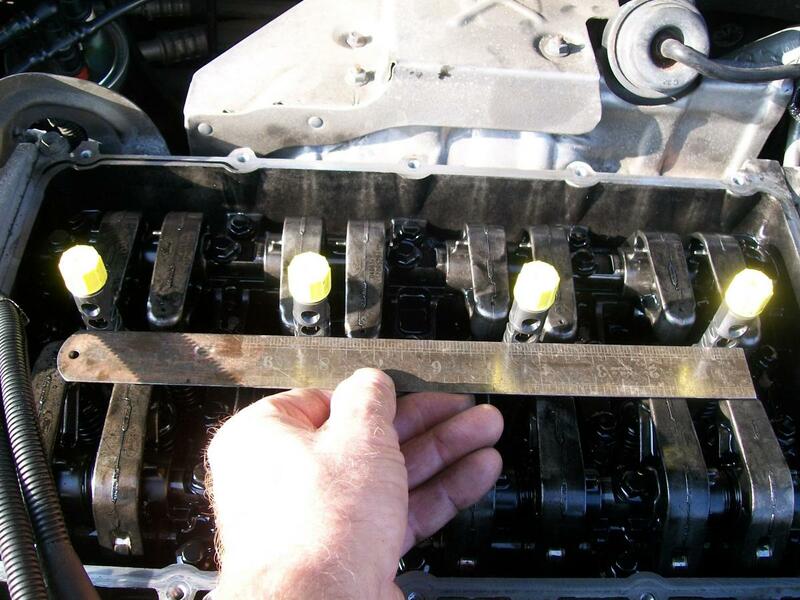 6) Lever out the 4 injector oil seals then remove all screws holding the camshaft cover. 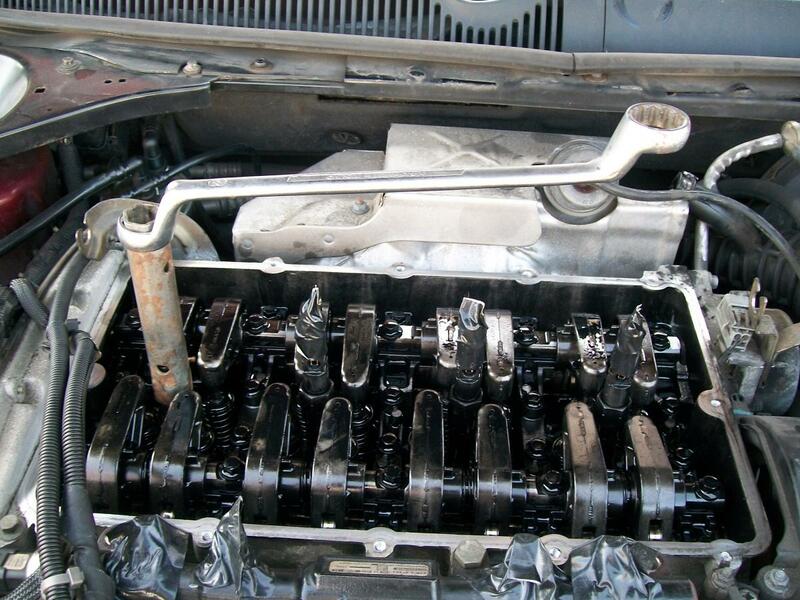 Remove camshaft cover. You will now see a brilliant design of an engine. The 4 injectors are in an oil bath and so you will have no problems unbolting them. Most other cars including the expensive ones have the injectors fitted to the outside of the engine block and corrode solid, new engines are needed in some cases but no problems for a Mondeo TDCI. It is now very important to understand that the 4 injectors have a different 16 bit code on their labels and the engine management has to be told what 16 bit number injector is fitted in what cylinder 1.2.3 or 4. I counted 1.2.3.4 from left to right and marked the injectors with a hacksaw blade one at a time as I removed them and also WROTE DOWN THE 16 BIT NUMBER in a diary for future reference. 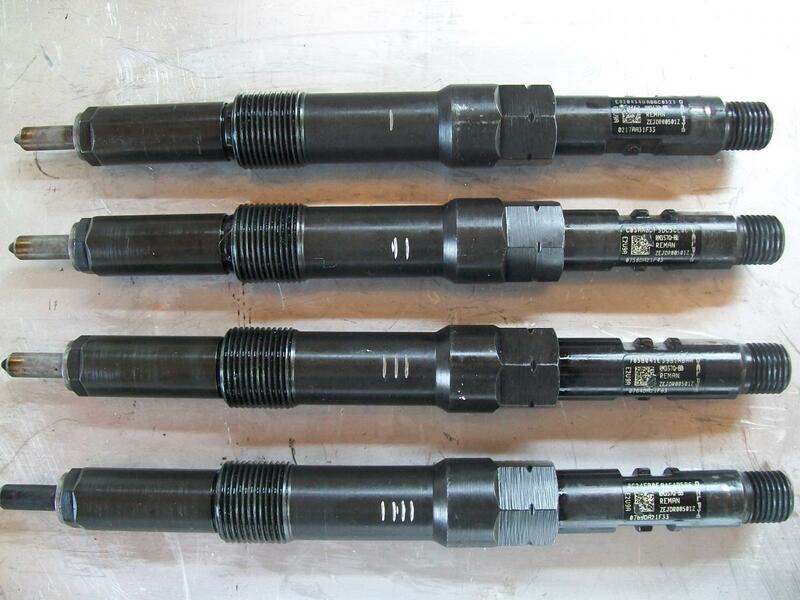 Each injector must be refitted in the same cylinder after reconditioning. IF YOU GET THIS WRONG THE CAR WILL NOT START. ( photo 3 ). If you get a rough idle after refitting the reconditioned injectors the engine management computer will have to have this 16 bit number re-entered. When the injector is fitted you will not be able to see the 16 bit number so don't forget to write it down while its out. You can re-code the engine management yourself as injector programmers / code readers are available on ebay at only £16-95 each. Give it a few days to settle down first though, as the engine management has a built-in learning curve and should automatically do minor adjustments itself. 8) My local injector reconditioner company was C.A.E. DIESEL LTD Chingford London 0208 527 8077. John the owner was very helpful with advice. At 10am he had the injectors and I collected at 4pm same day. All injectors were fitted with new leak back valves and spray pattern checked. ( £95 each + VAT ). 10) Refit the camshaft cover and then the injector oilseals. Dont forget to connect the vent pipe and the electric plug. Refit the high pressure pipes in the same order. Connect the battery negative lead. I did not replace any oilseal or pipes, all were reused. The Haynes manual advised renewing everything but to me all parts were still good and I checked with Fords they do the same as me. There is no need at all to bleed the fuel rail. Any air thats inside will be compressed to nothing when the injector pump starts. I turned the key and it started within 4 seconds. Road tested all OK now and tick-over perfect. Total cost including VAT was £456 I saved over £1000 and learnt a lot. Latest update: 12th April 2015 New cutout problem where glowplug flashes then instant cutout. Not a fuel problem. Faulty batch of Camshaft Position Sensors. Type on google " MONDEO TDCI 2004 MORE CUTOUT PROBLEMS ALL FIXED NOW " for full report. Wow well done you! I love using the haynes manuals but to also read some hints & tips from someone who has just done the job is priceless. Hope its all sorted now! Very useful and knowing the injector issues, this should probably come in useful to others! I think its well worth a conversion to a formal guide as well! I will try to get this done in the next few days! Hello. I think I have the same problem. Just wondering in where you got your injectors from and how much they cost? I have a similar problem with my ford mondeo 2.0 tdci ghia x wont accelerate in high gear, then just cuts out, if I turn it of and back on, then it's fine. I have a diagnostic code of P0251 & P1211. Having read lots about them, sounds expensive to replace. The person I bought the car from changed the injectors last year, so I would like to assume he started off with the fuel filter. Any ideas please. Sounds fuel filter to me have you cleared the codes and tried again? thanks for your reply, I will get a new fuel filter and read up on how to clear the codes / how much it costs to take it to a garage etc - as I have no idea. The previous owner gave us these codes, so is it normal practice for a garage to clear them after the diagnostic test ? I would phone the previous owner and ask where he got the injectors from because it sounds to me like one or more of the injectors have a leaking leakback valve so fuel pressure is reduced in the common fuel rail. Problem is it will cost about £450 to get all four injectors reconditioned as I did. But it did fix my cutout problems. You could do a leakback test on all four injectors, many web sites show how to do this using 4 plastic bottles. If you look at the injectors you will see the leakback clips. Don't bother to try to take the plastic pipes off these clips as they will leak fuel all over the top of the engine. Go to a breakers yard or a Ford main dealers and purchase four new clips then you can make up a leakback test kit. You will need 4 plastic bottles + 4 new leakback clips + about 6 foot of plastic pipe cut into four 18 inch lengths. This is a standard testing kit they use at the garages. They quickly unclip the leakback pipes then clip on the test kit then start the engine and watch for which bottle fills up first then charge you £100 for doing it. This is why I love this forum, good advice from people that experienced the problems first hand. Cheers Dave, great write up! I had exactly the same symptoms and code. When a fault is thrown up the glow-plug light comes on and the engine cuts out so it could be any number of things. Engine diagnostics is the first step. If you get P0 251 it's to do with fuel pressure. (As me and the OP have) this could be anything from an air leak in the hosing, clogged fuel filter... to a failing fuel pump that is throwing shards of metal around the system and destroying injectors and hosing in it's path. For me, I changed the fuel filter and that solved it! Fuel filter cost me about £7, and very easy to replace myself using Haynes manual and watching youtube vids. if anyone else is experiencing this fault code, and the change of fuel filter doesn't solve it. next step is to look at the old fuel filter, and see if shards of metal are caught in it. If they are, your fuel pump is breaking up. Don't use the car and replace it asap. [**EDIT** got petrol and diesels mixed up, thanks Dave]. Not a quick job, but possible to do providing you read up well. If there is shards of metal in the filter, not only Is the pump dying, but your injectors may also be ruined by the metal. If there is no metal in the fuel filter, and the change of filter didn't cure your problem. It is likely to be an injector issue, such as the one the original poster described. Or possibly an escape of air in the hosing. My car has the fuel pump on the engine NOT inside the tank. Petrol cars normally have the pump inside the tank. You must have a diesel as you have a flashing glowplug. 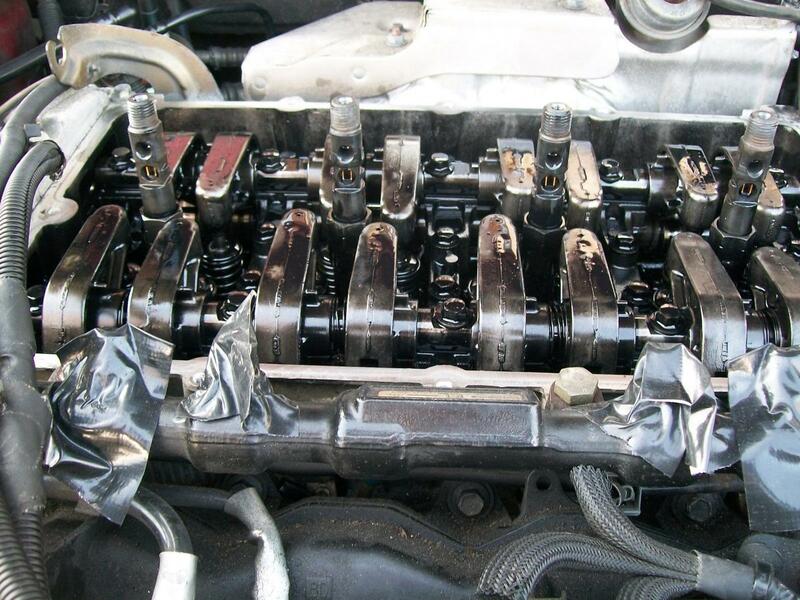 Luckily you fixed it by changing the filter. I had the same problem on a 2.2 mk3 ghia x and had all 4 injectors replaced at a cost of £1200.00. Wish I had seen this post :D could have saved myself a lot of money. Hi, I am new to this forum, but have read a lot of posts and they have been really helpful. I own a 56 plate 2.0 tdci zetec 130 and am having the limp mode/ cutting out/ flashing glow plug problem. After reading lots of posts, the first thing I tried was a fuel filter change, which did nothing. 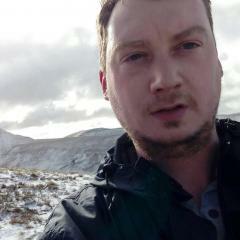 Rather than trying different things myself, I decided to take it to my local Delphi agent in the hope they could help. Typically a few days before I took it there the eml light went out, so no fault codes were showing, but it was still going into limp mode on acceleration under load, and the glow plug was flashing until you turned off the engine and restarted it. The injectors were removed and tested, but apparently, although they all failed the test, did not show signs of returned fuel problems. There were also no particles found. The car has done 160,000 miles so apparently they were just worn, but wouldn't cause the cutting out problem. The mechanic told me the next step would be to remove the fuel pump and bench test that but, but he thinks that the pump failing is very rare, and advised against it due to the cost. The sensible thing to do is to just get rid, but in the last 2 months I have had the clutch/flywheel/ starter replaced, tensioner/ pulley and belt and 4 new tyres so would like to try and save it. 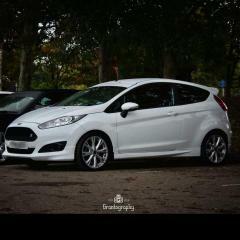 I really like the car, its my 2nd mark 3 tdci. So at the moment the car is running, but I get limp mode with the flashing glow plug light, and then cut out if I persist with trying to accelerate. The eml light does come on sometimes but turns off after a few stop/ starts of the engine. if I do manage to catch the eml light on, the code is po251. Any help or personal experiences would be greatly appreciated. Many thanks in advance! Hi. I have a euro 4 that has done 164k miles. I'm having injector issues as we speak. the engine is effectively being starved of fuel. At that mileage it's likely the injectors are on there way out. How were the injectors checked? If it was a simple leak back test, that probably isn't enough. They need to be pressure tested to be absolutely sure they are knackered. A couple of simple tell tale signs are: 1. With the bonnet open and the engine running, does it appear like the engine is rocking violently as if an engine mount has broken? Or 2. With the drivers (or passenger) door open and engine running, does the door appear to bounce? If both are the case, the engine is probably running very lumpy and is struggling to breath, eat and !Removed! and wants to be turned off and never switched back on ever again! So true Mark, just depends how much people are willing to spend and what type of fix they choose. There are a lot of 2ltr 130's out there, prob best to scrap it and move on and get another with less miles.